​Wikaniko was formed to assist everyone to gain a better understanding of the ‘green’ word. Deep green – This is the stage of green living where you begin taking huge life altering steps, giving up all home comforts and really going 'back to basics'. This is great, and should you wish to take this path then more power to you! You are doing a wonderful thing. Who knows - one day we may even end up on this path, but for now, we are not deep green. Light green – This is the kind of ‘bandwagon’ that appears whenever major issues are raised to either scare the public to death, or create some sort of sensationalism to help sell more papers, create more news, etc. Companies and individuals often exploit this, to make a fast buck for themselves. You would be amazed at the number of companies, web sites, publications etc. that pretend to be ‘green’ or environmentally friendly when they have absolutely nothing to contribute to the whole issue! Mid green – That’s us. We like to think we are personally doing our bit to help the planet. We use our own products (many of these products have been sourced for Wikaniko because we ourselves found out how good they really were) and we bring the products to you at the keenest prices. Of course we make a profit – we have to in order to stay in business – but we constantly analyse and revise the prices etc to get you better deals, using our increasing buying power. 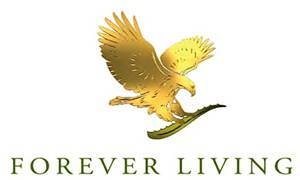 We recognise that we cannot be totally green with everything that we do. It is impossible to do, so we do not profess to do it. Instead, we are ‘greener’, which means we try our best at all times to ensure our products and services are as green as they can possibly be – or at least, if they are not, the product will still help you in some other more environmentally friendly way. So please recognise that fact too. Becoming totally green is nigh on impossible. Becoming greener is a major step towards making the world a better place. And as we learn together, we will grow together. Join us in our never ending quest to help with the growing momentum of this gentle revolution. At Wikaniko, ‘green’ is not being rammed down your throat at every opportunity, just to scare you into buying something. Instead, through a process of education, the supply of information, and explanation, we hope to help you improve your outlook with regard to the environment. Here at Wikaniko we don't just make money. We make a difference. In the short time that we have been in business, our distributor team has already sold a couple of million pounds worth of product, etc. Wikaniko believes that no animals should be harmed for the purposes of producing cosmetic and toiletry products. We are opposed to the use of animal testing for cosmetics (or any other) purposes. We do not use any supplier who we believe is, or may use ingredients that have been tested on animals. Each supplier is contacted and asked to state their policy on animal testing. 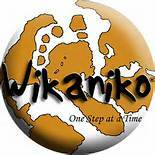 "Wikaniko scores 9 out of 10 and is the only company to have achieved that rating with us"
"Best Direct Selling Opportunity 2012"